VentureBeat has formed an innovation hub, VB Lab, that will serve as a branded content studio, as well as offering marketing opportunities to its partners. VentureBeat — which was founded in 2008 and specializes in covering business technology news, specifically artificial intelligence, gaming and new tech — claims to reach over 6 million business decision makers and influencers through its site each month. Some 39% of VentureBeat's audience is C-level executives, and 80% are business decision makers, according to the company. “We are extending our journalism experience to give a thoughtful marketing approach to our partners in our areas of expertise,” stated CEO and founder of VentureBeat, Matt Marshall. VB Lab’s first offering is its Thought Leadership Platform, an end-to-end marketing solution. The platform will combine “research and insights, knowledge in AI and technology plus the journalistic lens of the VentureBeat team. " The aim is to give companies a strategic road map for success and leadership growth. 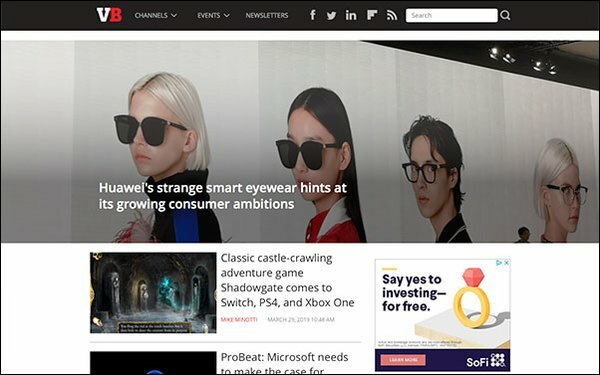 VentureBeat believes its lab differs from other branded content studios created in-house by media companies, extending beyond digital content to diverse options. The lab will offer strategic consulting, storytelling opportunities across platforms, research reports, surveys, case studies and use cases, as well as custom-marketing solutions via live podcasts, video series, speaking opportunities, events and branded stories. VB Lab will also produce videos and create custom native ads and interactive digital marketing experiences for its partners.